Blessed be God. Blessed be His Holy Name. Benedictus Deus. Benedictum Nomen Sanctum eius. Blessed be Jesus Christ, true God and true Man. Benedictus Iesus Christus, verus Deus et verus homo. Blessed be the Name of Jesus. Benedictum Nomen Iesu. Blessed be His Most Sacred Heart. Benedictum Cor eius sacratissimum. Blessed be His Most Precious Blood. Benedictus Sanguis eius pretiosissimus. Blessed be Jesus in the Most Holy Sacrament of the Altar. Benedictus Iesus in sanctissimo altaris Sacramento. 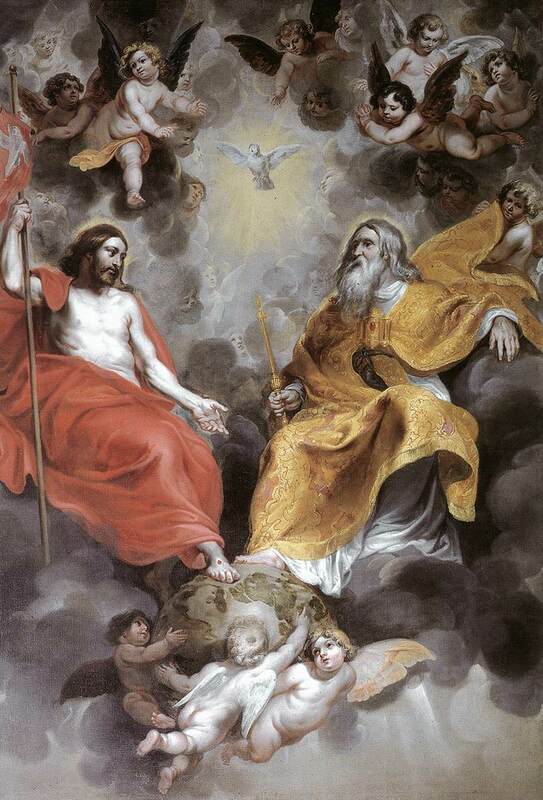 Blessed be the Holy Spirit, the Paraclete. Benedictus Sanctus Spiritus, Paraclitus. Blessed be the great Mother of God, Mary most Holy. Benedicta excelsa Mater Dei, Maria sanctissima. Blessed be her Holy and Immaculate Conception. Benedicta sancta eius et immaculata Conceptio. Blessed be her Glorious Assumption. Benedicta eius gloriosa Assumptio. Blessed be the Name of Mary, Virgin and Mother. Benedictum nomen Mariae, Virginis et Matris. Blessed be St. Joseph, her most chaste spouse. Benedictus sanctus Ioseph, eius castissimus Sponsus. Blessed be God in His Angels and in His Saints. Benedictus Deus in Angelis suis, et in Sanctis suis. Amen. You need to be a member of Crusaders of the Immaculate Heart to add comments!